In the center of Tehran, there is a beautiful old building that now is home to interesting ancient crafts. 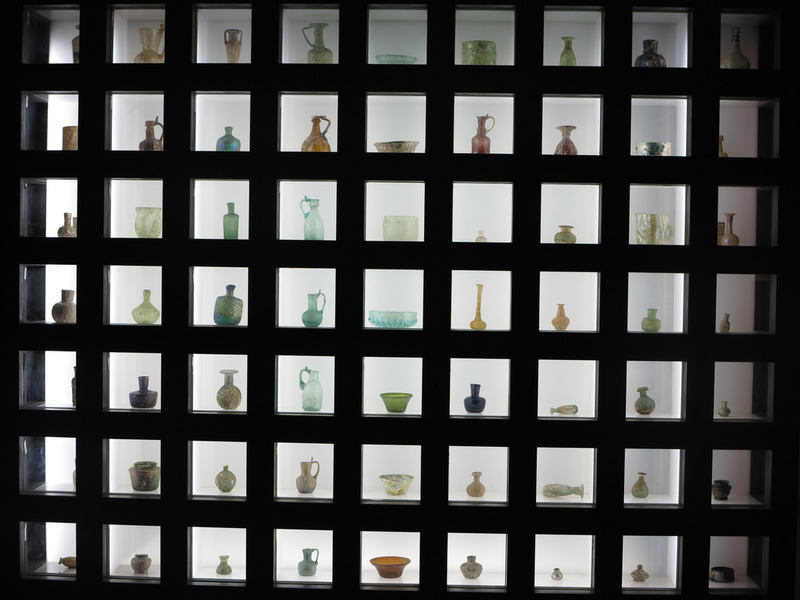 Glassware and Ceramic Museum of Iran or Abgineh Museum of Tehran, as Iranians call it, is one of the unique collections of glassblowing arts in Iran. If you always find glassblowing and glasswares interesting, now it’s the best chance for you to see how Persians used to make them thousands of years ago. 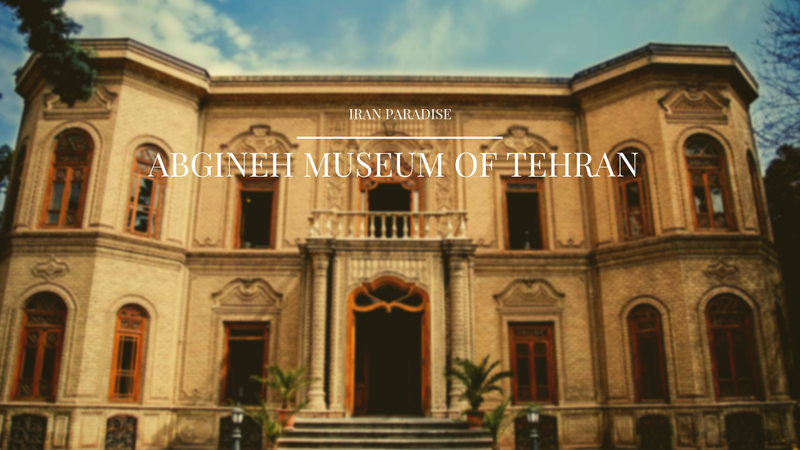 Abgineh Museum of Tehran opened in 1980, the museum is housed in the 1915 mansion of a former prime minister in Reza Shah’s government, and from 1953—60 it functioned as the Egyptian Embassy, so the building itself has architectural merit. The Abgineh museum or the Qavam house was built in 1299 by Ahmad Qavam (one of the Qajar ministers) order as a place for his residence in the form of Octagonal. 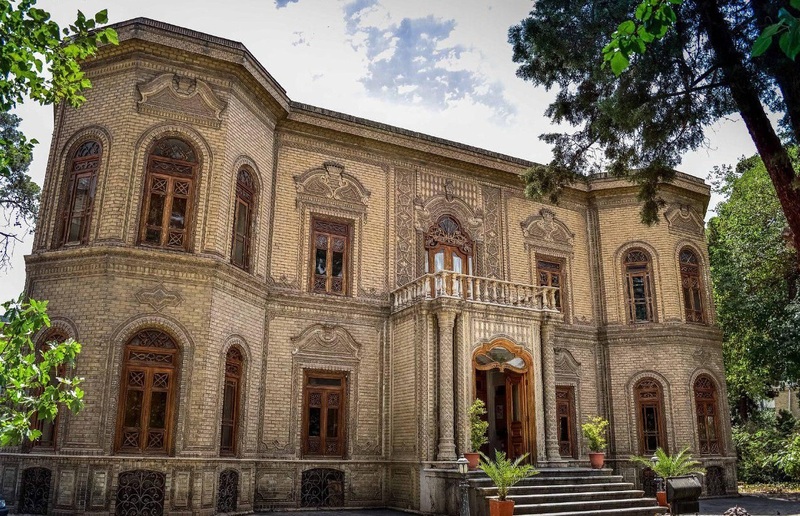 Years later, the building was withdrawn from Qawam al-Saltaneh and it became the embassy of neighboring countries; then, during Pahlavi II, Farah Pahlavi buys this building and Made many changes to its interior and exterior design by architects from Iran and Europe. The museum’s building is octagonal, in a garden 7000 square meters large. The building of the museum itself is intriguing for the enthusiasts. This building used to belong to Ghavam-Alsaltaneh, the Vizier of Ahmad Shah from Ghajarid Dynasty. This building has two floors and five halls. The first and second halls are on the first floor, and the other ones are on other floors upstairs. In the second hall (crystals) the oldest glasses, glass pipes and clay pots are located. The designer of the display windows of the museum was an Austrian engineer called Hans Holiehn. The ornaments of the building include wood embossing of the door frames and stairways and the façade of the building with 50 different types of brick. The objects exhibited in this museum, which is also called Abgineh Museum, belong to a span of time beginning from pre-Islam period up to the contemporary Iran. Achaemenian and Islamic periods, plain terra cotta vessels from the pre-Christian era, primitively glazed terra cotta wares from the 3rd millennium BC and Islamic period terra cotta vessels, library. The main establishment of the museum that occupies an area of 1040 square meters is a two-storey octagonal building with suspended pillars and a basement. It is situated on the entrance side of the premises. The architectural style of the building is a combination of the traditional Iranian style and the European architecture of the 19th century. 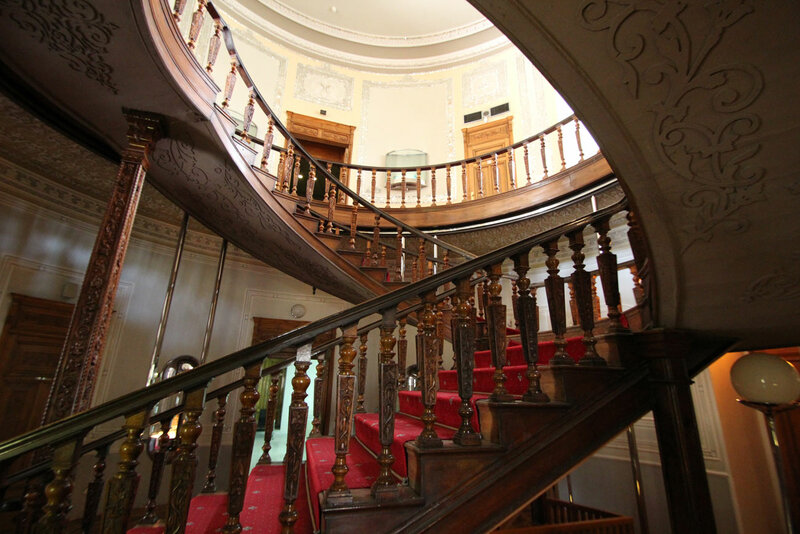 The first floor is connected to the second one through wooden steps in Russian style. Prior to the time when the building was transferred into the Egyptian embassy, the entrance of the museum was doomed-shaped but was later flattened. Parts of the walls in the basement are decorated in traditional style with big tiles. Double windows have been used in the architecture of the building instead of terrace and wooden doors have been installed behind the windowpanes in order to regulate the light and temperature of the interior of the building. The exterior and interior of the museum comprise such decorations as brick works, plaster works, mirror works and inlaid works. There is a gift shop on the ground floor where you can buy books, DVDs, and other souvenirs. Also, you can take a lovely walk in the museum garden and yard. Although the museum is located in the middle of bustling Tehran, you will feel peaceful and relaxed in the museum area. It’s worth to mention that you can take photos and record videos in the museum. Also, you cannot smoke in any area of Glassware and Ceramic Museum of Iran.